This one. When I was about 1/4 of the way through it I thought....what was I thinking? And I screwed up the ( mirror image) I always get that wrong. When you want to put a picture in...first you click the Go Advanced tab. Then below that it will say Manage Attachments. When you click that a window pops up and you want to click browse. In the browse section you get your picture from where you have it. It can be from documents, pictures, or even a flash drive. You open the picture and then upload. After it loads, you click out of that and hit the submit button to send your message. Good Luck. I can't wait to see your quilts. Thank you for this information however I have nothing showing up after I click advanced that says manage attachments. Nothing. ??? I am on my phone tho...I'll try from my computer tomorrow. Maybe it's different?? Wish I knew how to put pictures on this board so I could show everyone. The quilt turned out very nice and I was pleased. If you are on your phone, you can't see the picture icon unless you go to the upper right hand corner pull down menu (the three dots) and check desktop site. Refresh your screen, and you will see a bunch of icons at the top of the quick reply box. the 3rd one from the right is the attach picture icon. 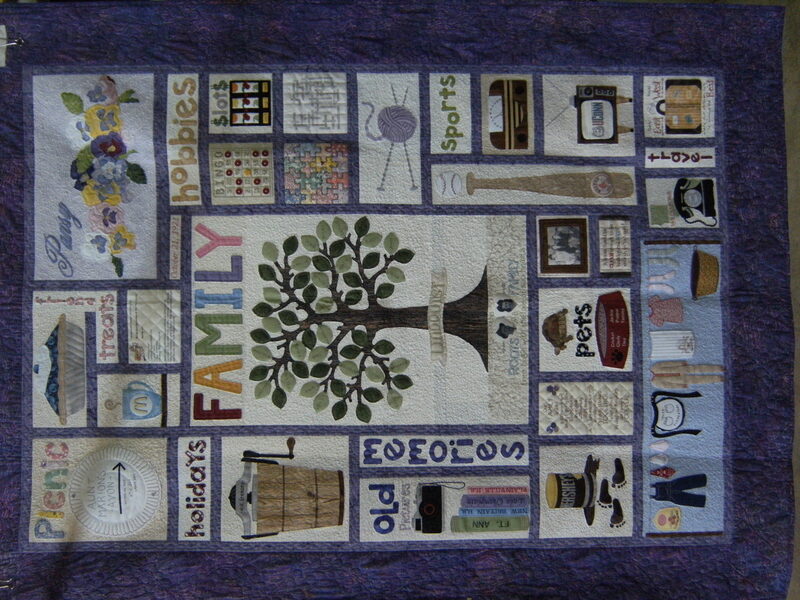 I enjoyed the process of designing this art quilt. 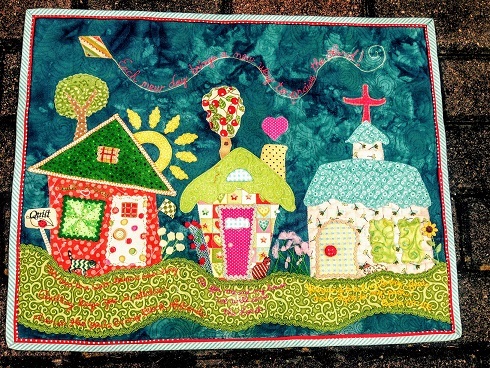 It is my imaginary neighborhood...a quilt shop, my house and my church. I resized the photo because it was too large to upload. I may have shrunk it too small. I hope you can see it. I am not photo savy . 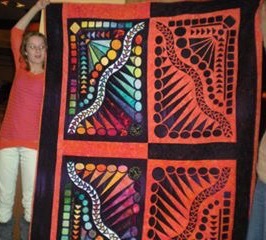 So many gorgeous quilts to share, every one a special creation. Last edited by ube quilting; 02-03-2019 at 04:50 AM. I made this one a couple years back. We use it on our bed. Selena's Star, made for my tattooer's newborn daughter last year. 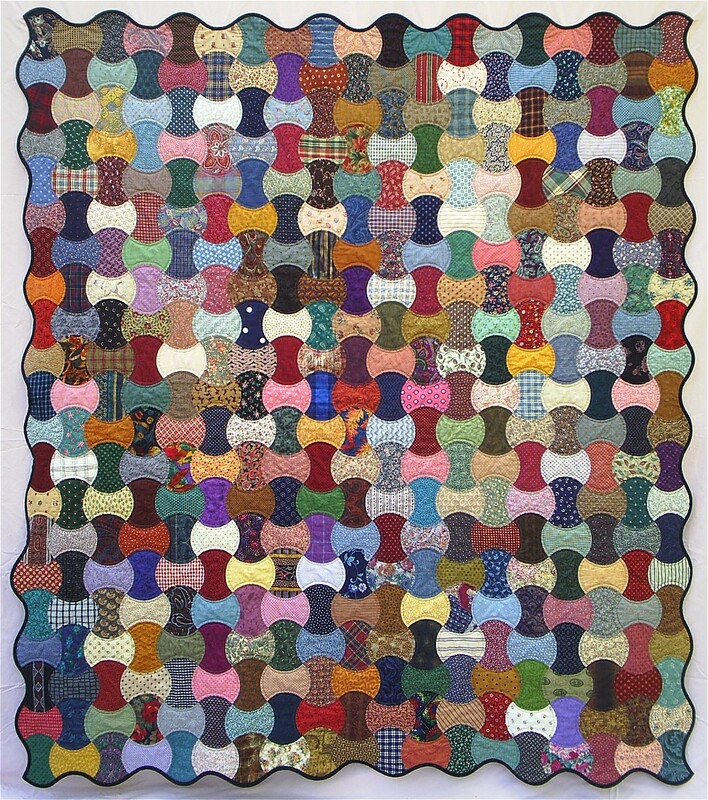 Wow what a great quilt show on this thread. It's nice to share our creations with others who understand the love and work that goes into them. My favorite will always be my first quilt. It's my spare room bedspread. I designed it on graph paper and hand quilted it. "The Cross" took a year to complete. It was finished on my 59th birthday on October 12, 2010. I've been quilting ever since. Each block included a cross. 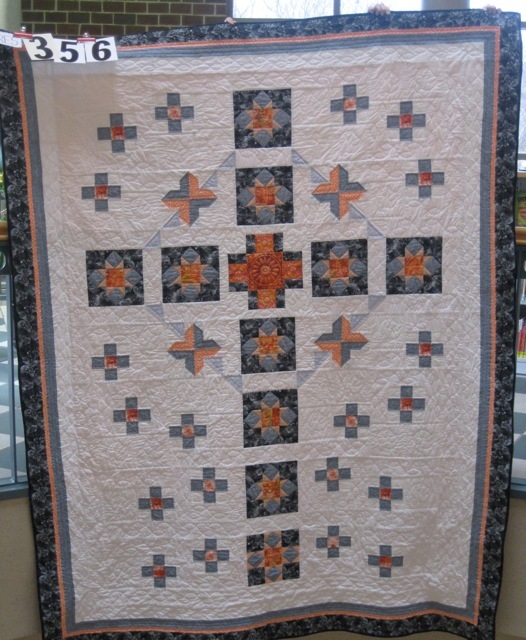 The quilting was crosses, ichthus (fish symbols), and Holy Spirit doves... in honor of my lord and savior, Jesus the Christ. There are a couple I love but think this one is probably my favorite as it was my 1st paper pieced, my 1st try using metallic thread to quilt it. 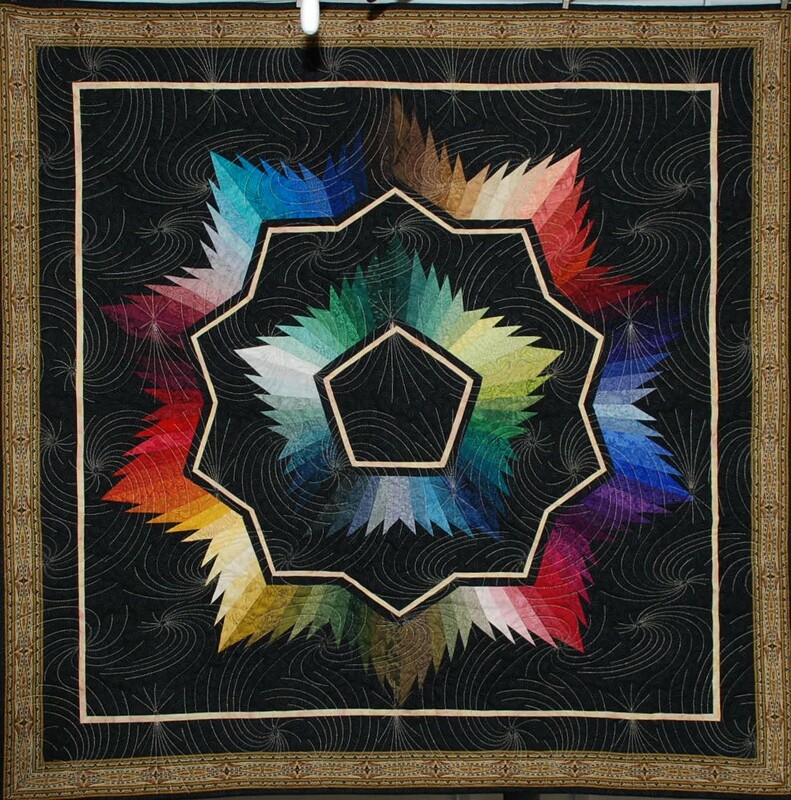 The pattern is called Crystal Star by Jinny Beyer. Would you like to see mine? These snowmen took 2 1/2 years. If I had a brain in my head when I started this thing, I would have planned for the blocks to all be the same size. It gave me a few headaches, and I also said a few naughty words. However, I did finally get the top done. It will have to wait to be quilted. I'm not sure what I want to do. 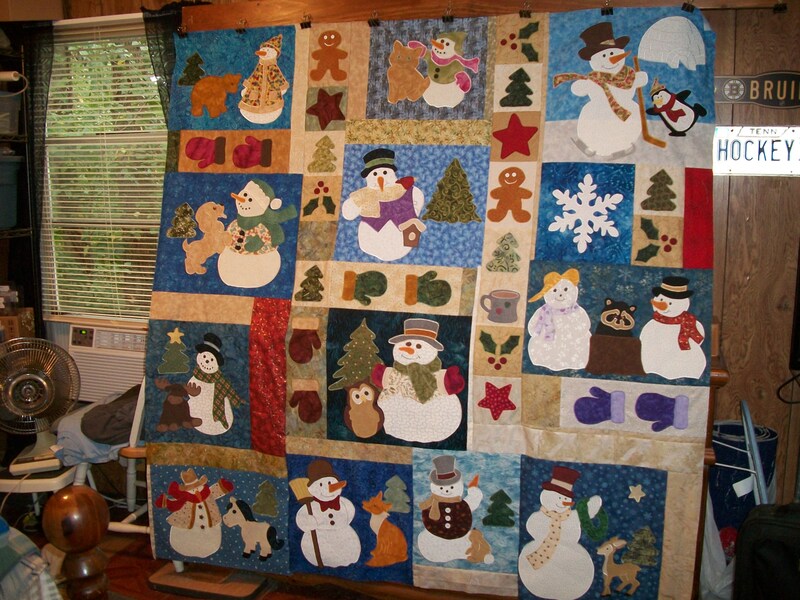 You all are such talented quilters! Reading this has been like going to a quilt show. Love it! I have two favorites because of the sentimental meaning behind them. First, a memory quilt of my dear MIL on her 90th birthday which is two sided and took me 3 1/2 months, and second a Christmas gift for my DH in 2017 with the names and service dates of my grandfather, my dad, his dad and my DH micro-embossed in the borders, & service records on the label. I would have planned for the blocks to all be the same size. I think that quilt is sooooo much more interesting because the blocks are not all the same size. You did a wonderful job. It is magnificent. And thanks so much for this post - no - this quilt show. Very enjoyable. I should acknowledge every one of these beautiful quilts. However, I'd never get it done with all these unique and wonderful works. Every one is special to the person who made them. The stories are good, too. ❤️Love❤️Love❤️Love❤️ All of your beautiful quilts, they are fantastic! 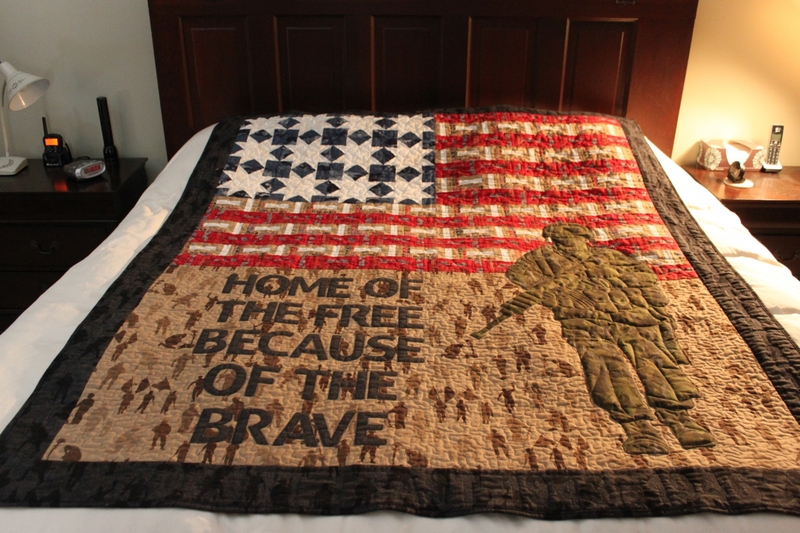 I don't expect to ever get to your level of quilting, but really enjoy seeing all that you have done. 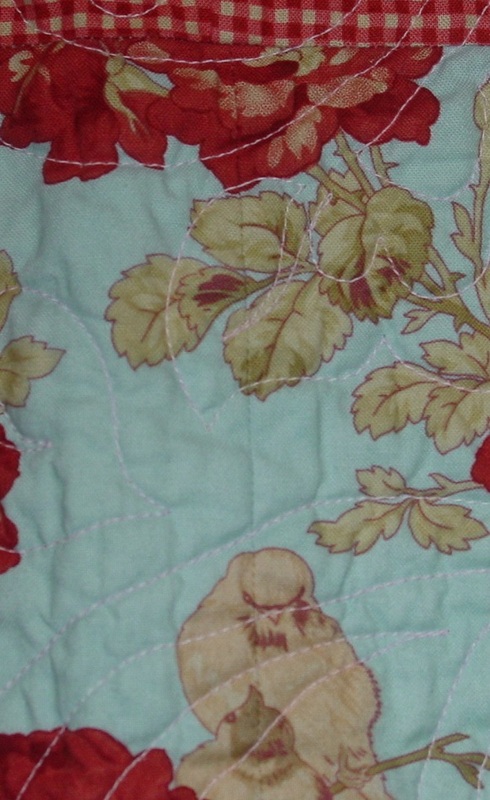 I'll be starting my quilting in two weeks when the grandsons have a week off of school. I want them involved too, picking out the fabrics they want to use, finding an easy pattern for their first quilt, cutting their squares and learning to sew. I tell you, they are really excited, though the youngest (6) picked one a bit too involved already and I said we can certainly do that later. Still getting all the supplies we need, I'm as excited as they are. Last edited by Maine; 02-03-2019 at 07:54 AM. 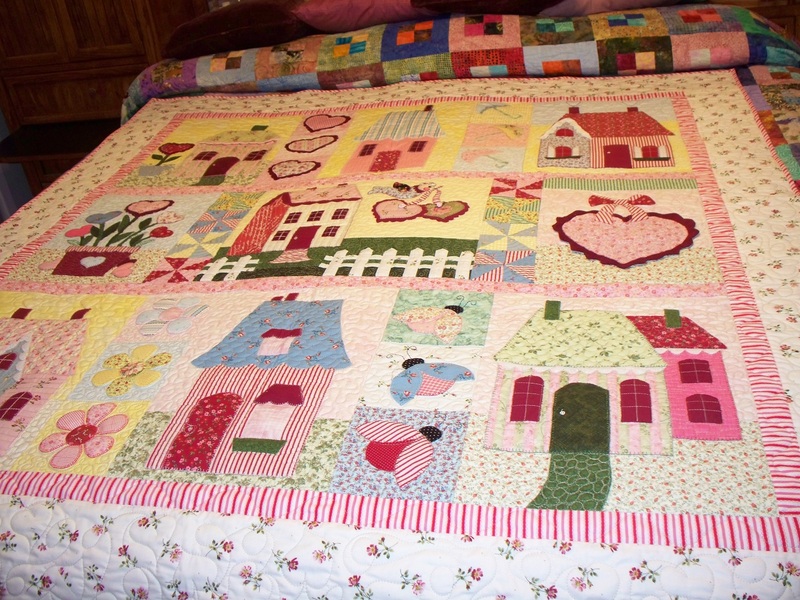 I have lots of favorites, but guess my most favorite is the Sweetheart Houses quilt. It's hanging in my sewing room/bedroom. Love seeing everyone's quilts; great quilt show. This quilt was a challenge. 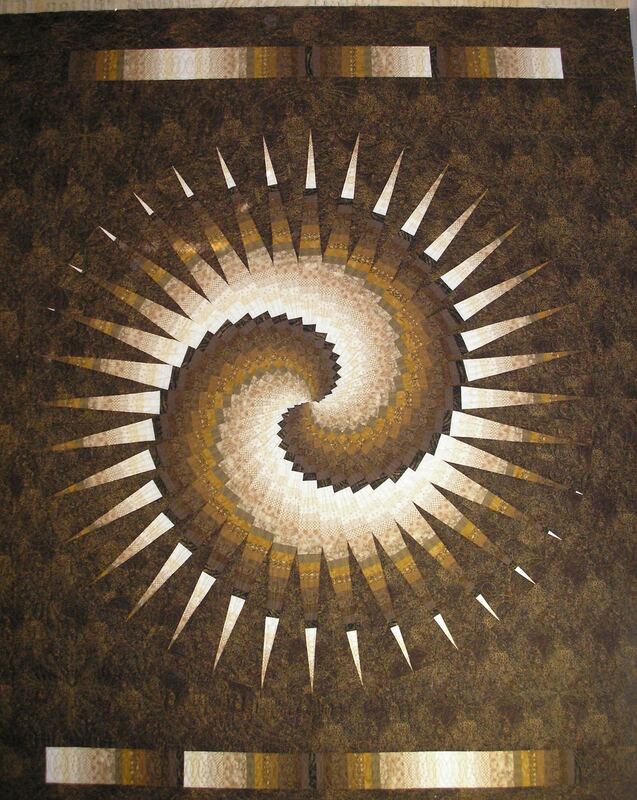 It is named Spiral Star and designed by Mike Ellingsen of Blue Earth, Minnesota. It is not paper pieced. Unfortunately I'm unable to post my pics but can still share a story. Of all the quilts I've made, my favorite is from a free BOM sponsored by Connecting Threads several years ago. While piecing, decided it needed to go to a favorite cousin of mine. The top sat around for a year or more before I had it LAQed. When I got back, I couldn't part with it. 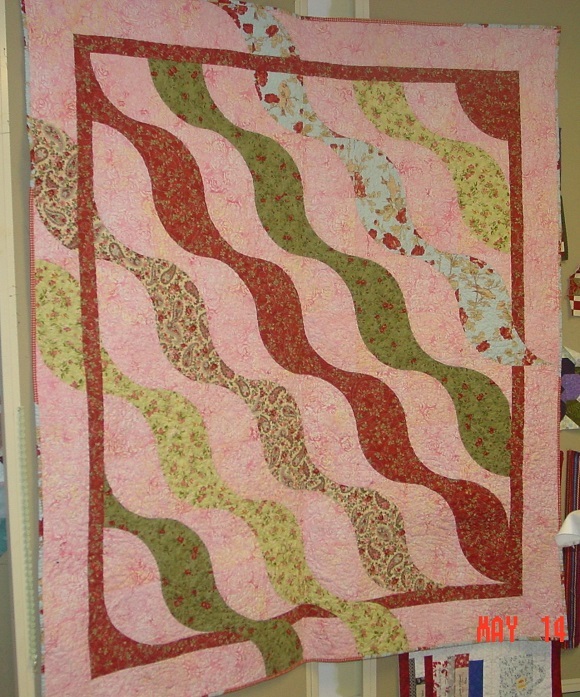 Had no real affection for it until my quilter waved her magic wand. My husband shrugged and said "just make another one"... I know, my reaction was "are you out of your mind"? I thought about it for two days and decided to do just that. Still had many of the fabrics used on the original and from my stash, enough similiar fabrics to pull it off. She loved her quilt and had quite a chuckle over my story. Mine sits nicely folded over an antique ladder back rocker in my living room. I look at it at and enjoy it at least daily. I named her "Selfish". My favorite quilt gifted to me was from JenniePenny. 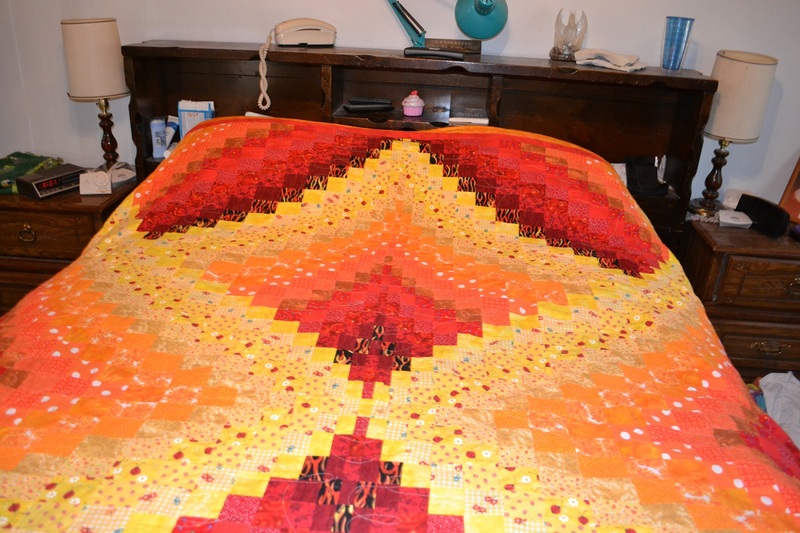 We met for the first time years ago and she gave me the gorgeous quilt named "Pulsar". Its been posted here in the past and it is gorgeous. 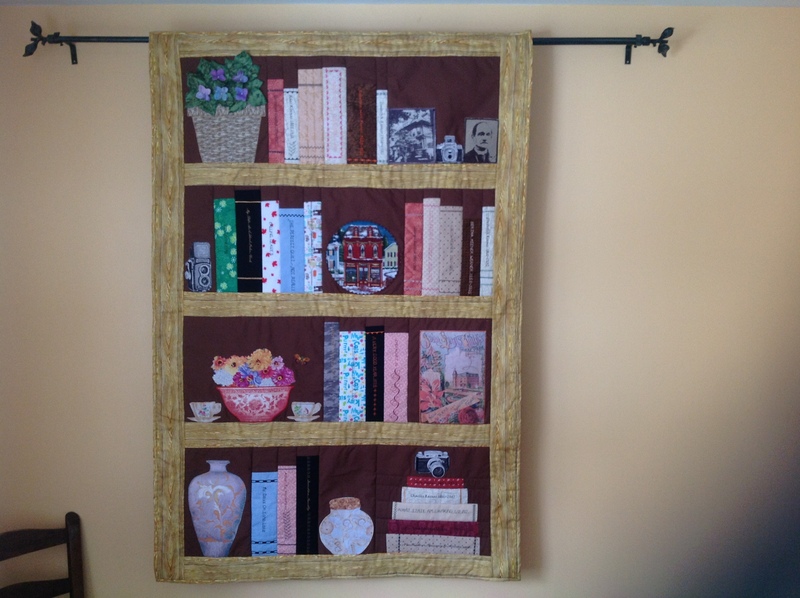 I treasure it more than anything I have, use it often and it hangs on a beautiful oak quilt rack my husband made for my Mom that I later inherited. Love this awesome quilt show! 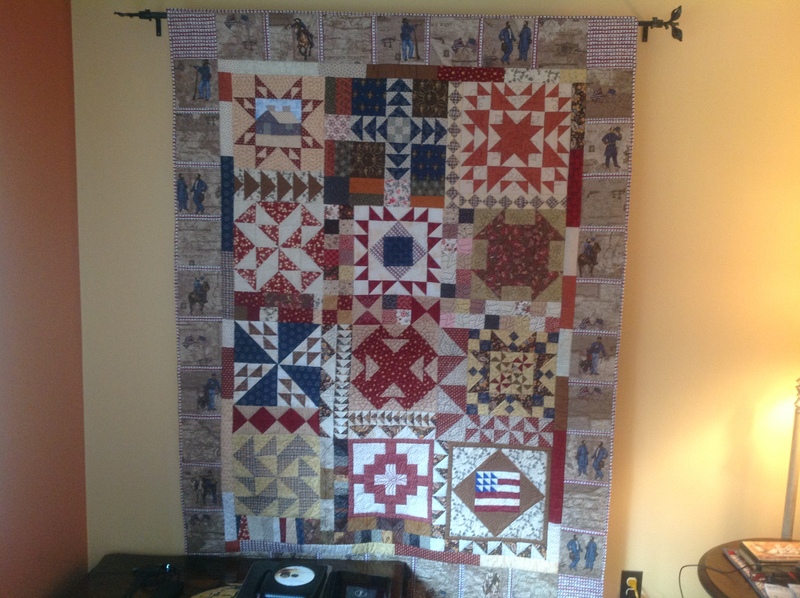 Each quilt is gorgeous and the stories behind them are even better!